Campania’s white wines vie with those of Alto Adige and Friuli Venezia Giulia for top spot on Italy’s list of quality whites. And today’s reds from the region are increasingly removed from the old southern Italian stereotype of unclean, overripe and high alcohol wines. One of the most positive developments in Italy’s wine scene over the last 30 years has been the total transformation of Campania. 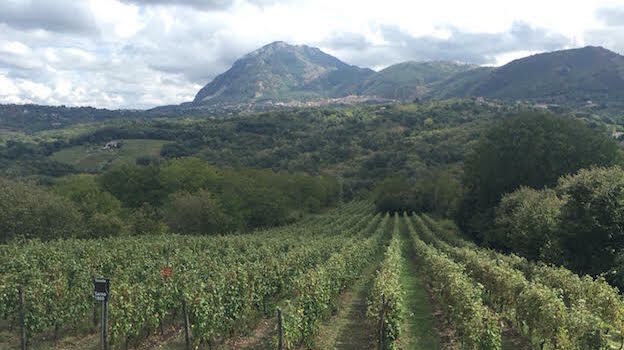 It is safe to say that Campania’s wines have never been this good, and the improvements have been due both to a plethora of new and exciting estates run by a passionate and energetic new generation and, increasingly, to moneyed locals who are looking to invest in the region’s wine economy. The presence of a number of outstanding, world-class local grape varieties that grow practically nowhere else and a better understanding of many of the region’s unique—often volcanic—terroirs have also played important roles in the transformation of Campanian wine. For those who don’t yet grasp the importance of native grapes, let me repeat for the umpteenth time that Fiano was virtually extinct as recently as the 1950s. Is that relevant, you ask. Well, suffice it to say that most experts agree that Fiano is probably Italy’s single greatest native white grape variety, so losing it would hardly have been a smart move. Not by chance, the cultivar is now being studied and grown in places as far removed from Campania as California and Australia. And yet, as recently as the late 1960s, Antonio Mastroberardino, the man who saved Fiano, was still going on record as being unsure about Fiano’s future survival. Fiano has conquered just about every corner of Campania and is now increasingly planted in Sicily, Basilicata, Puglia and Lazio. But it has become so popular that it has also been planted in more northerly lands, such as Friuli Venezia Giulia. In warmer climates, Fiano tends to produce smoky, fat wines redolent of ripe tropical fruits; by contrast, at higher altitudes and in cooler environments the wines are steely, lean and loaded with nectarine and green apple. In fact, differences can be so striking that some experts have begun to hypothesize that producers may actually be using two different varieties altogether, but there is as yet no scientific evidence to back up this theory. Greco is the other famous white grape of Campania. Not to be confused with Calabria’s Greco Bianco variety (the two are unrelated varieties that share a similar name), Greco tends to give much darker-colored, richer and more tannic wines than Fiano. With a little tasting experience, it is virtually impossible to confuse wines made from these two varieties. These two white grapes have taken Italy by storm over the last 30 years and are now found on restaurant wine lists and in wine shops everywhere. Campania’s most important red variety is Aglianico, which reaches its apogee of expression in Taurasi. It is my opinion that, in terms of its ability to make seriously good wines, Aglianico is at a quality level similar or close to that of Nebbiolo and Sangiovese. Unfortunately, decades of dubious winemaking talent and poorly equipped cellars in Italy’s south have sullied the reputation of this outstanding grape. However, one taste of a great Aglianico, with its penetrating flinty notes of red and black cherry and hints of camphor, minerals, licorice and violet, will immediately awaken the senses to the variety’s inherent greatness (exactly the same thing can be said of Sicily’s Nerello Mascalese, by the way). Although it performs well on most types of soil, Aglianico does remarkably well in volcanic areas, of which there is no shortage in Campania. 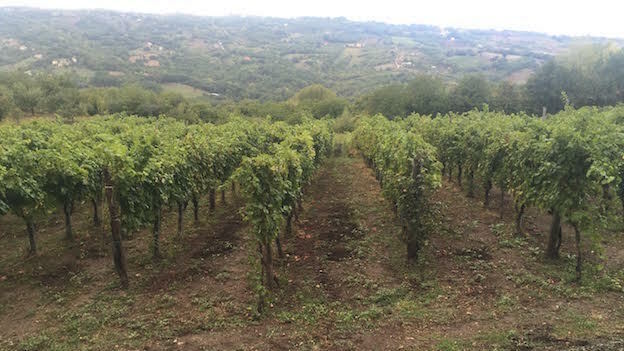 Wines such as Aglianico del Taburno (or Taburno Aglianico) and Aglianico di Taurasi (or Taurasi) are potentially some of the country’s greatest reds; both the Taburno and Taurasi areas are extinct volcanos. The fact that Aglianico wines can also age remarkably well only adds to their mystique. Falanghina has been one of Italy’s biggest wine success stories of the last 30 years. It is yet another of the almost countless examples of once-forgotten native grapes that had approached extinction in the ‘70s and are now instead the source of highly popular wines that are sold everywhere in Italy and abroad. In this case, credit must go to Leonardo Mustilli for having brought Falanghina back to the public’s attention at the beginning of the 1980s. The name Falanghina actually refers to a group of grapes, of which two have been clearly identified, the Falanghina Flegrea and the Falanghina Beneventana, but there are likely additional varieties erroneously being called Falanghina. In any case, Flegrea and Beneventana could not look any more different. The two varieties also make completely different styles of wine, but pure monovariety Falanghina wines are hard to come by so making comparisons is very difficult. In fact, most estates grow both Falanghinas together in their vineyards, even though they ripen at different times, and then blend the grapes to make their wines. Generally speaking, Falanghinas exude aromas of herbs and menthol, and only cellar wizardry, such as the use of specific industrial yeasts, can allow wines labeled Falanghina to display explosive notes of tropical fruits (especially banana and pineapple). Coda di Volpe Bianca is an extremely high-quality variety that can give either much more mineral or fatter, creamier wines rich in honey and ripe citrus notes. Still relatively little known outside of Italy, wines made with Coda di Volpe Bianca by the likes of Vadiaperti and La Rivolta rank among Italy’s best white wines, so it’s clear that the variety offers immense potential. Last but not least, Campania has many other noteworthy red and white grape varieties that are beginning to be used to make monovariety wines. White grapes like Caprettone (typical of Vesuvius, where many like to call it Coda di Volpe Bianca—but the two are different varieties), Pallagrello Bianco, Asprinio Bianco, Fenile, Ginestra and the aromatic Roviello (often called Grecomusc’, its name in local dialect) all merit more attention from producers and the wine-loving public alike. 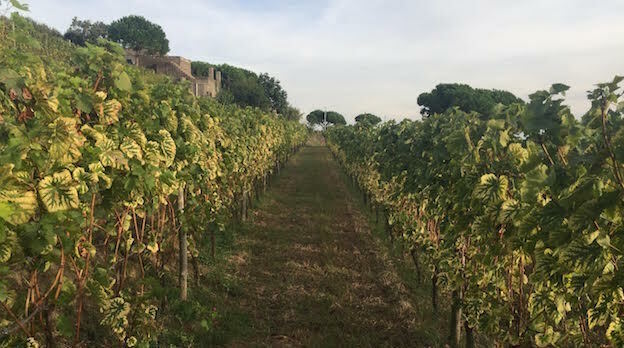 Red grapes like Sciascinoso, Pallagrello Nero, Casavecchia and Tintore di Tramonti are undoubtedly high-quality varieties as well; Tintore di Tramonti is already gaining a local cult following. 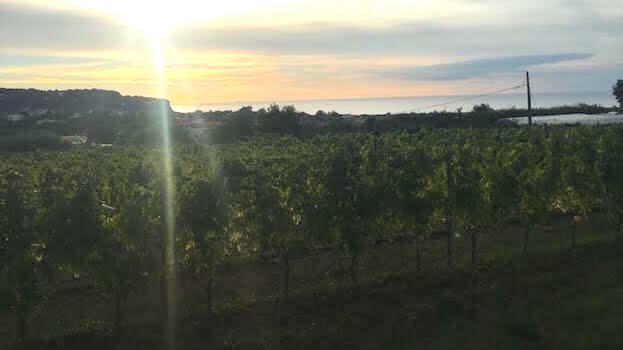 For the most part, Campanian wine is at a high point in its recent growth curve. My only caveats are that too many wines remain overly rustic while others are overripe and/or too high in alcohol. The latter style is a remnant of an archaic wine culture, typical of times past when achieving superripe grapes and high alcohol was all that mattered. Older farmers in Campania (and not just there) still refer to a red wine as being especially successful when it reaches 15% alcohol or more, not realizing that balance is the key and that high alcohol is no longer the measure by which wines are judged to be superior. In fact, I find that at many estates it is the lighter, often earlier-harvested, entry-level Aglianico wines that show better balance and are far easier to drink and enjoy. Last but not least, many Campanian estates only grow one or two grape varieties, yet they still all seem to make Fiano, Greco, Falanghina and Aglianico wines. Caveat emptor: some of those wines are made with purchased grapes, and almost all of them are far less interesting and complex than the wine(s) the estate is best known for. The 2015 vintage is generally characterized as a very warm overall, but spring actually started cold and rainy, delaying budbreak and flowering by as much as two weeks. The flowering was spread out over an especially long period—never a good thing as this leads to berries of inconsistent ripeness and makes for more work at harvest time. Temperatures picked up during the summer, which allowed the growth cycle to catch up, so the harvest took place at more or less the usual time of the year (Campania features many late-ripening varieties, so the harvest can start as early as September but go on until November, depending on the vintage). For the most part, 2015 in Campania is a vintage of powerful red and white wines. However, the latter are generally less perfumed than usual due to the heat of the year. In my opinion, Greco fared best, generally speaking, among Campania’s white wines. Piedirosso benefited from the heat and so most 2015 Piedirossos do not show the green streaks that can make these wines tough going for many wine lovers, while Aglianicos range from balanced and ageworthy to hopelessly overripe—but still much less so than in other recent vintages, which I take as a hopeful sign of a slow changing mindset. I tasted all of the wines reviewed in this article at the estates and in Rome in August, September and October. For notes on the 2014 and 2013 vintages in Campania, please see my previous article on Campania’s wines published on Vinous in September of 2015.